I know many of your kiddos are heading back to school. 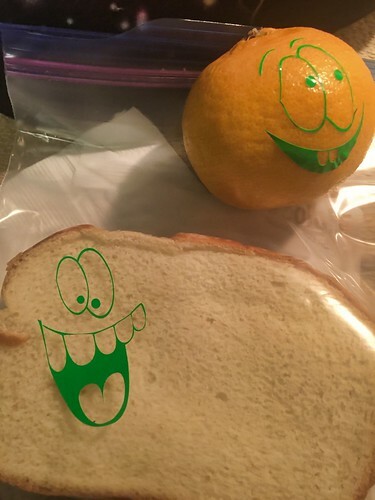 Here is a cute way to make their lunch fun and give them a little surprise too! Add vinyl to their fruit, brown paper bag, and sandwich bag. I used a fun fluorescent green (Green-FC06) color to go along with the goofy faces. I want to personally thank Cricut and Tape Technologies for providing materials for this post. I am a design team member at Cricut and Tape Technologies. Tape Technologies sells vinyl under the name StyleTech on Amazon. Some surfaces are easier to apply vinyl too than others. The sandwich bag and a brown bag would be easier than the orange. The rough surface of the orange just took a little bit more time and patience to get it to stick, but it is definitely doable. 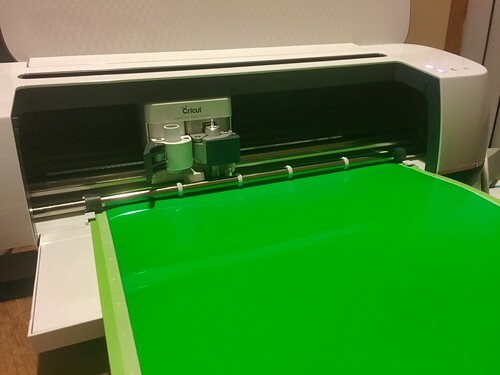 Cutting the vinyl on a Cricut Maker. 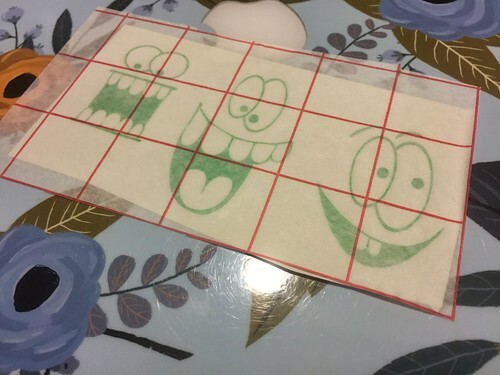 Fun faces are weeded and ready to transfer. Close up of finished pieces. Hopefully, they gain a few giggles!